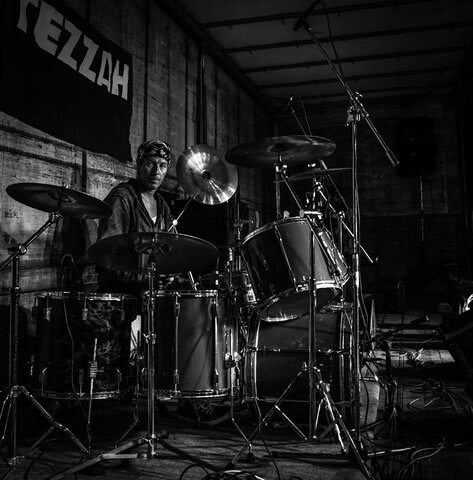 After many years of gigging in the north of France drummer Dany Passignat migrated to the South West, where he now lives in the same village as Tezzah guitarist, Terry Harris. 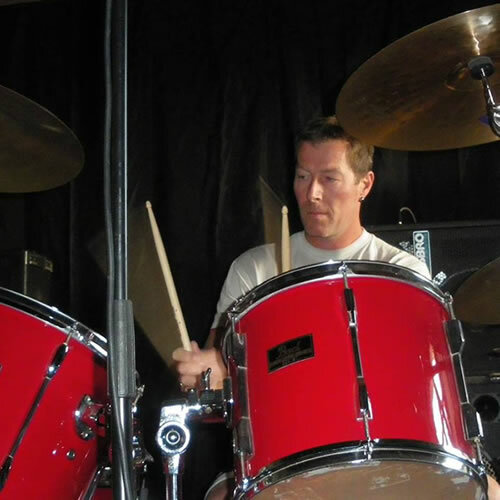 After meeting up, Terry invited Dany to play at his private studio ("The Poulailler Studio"). 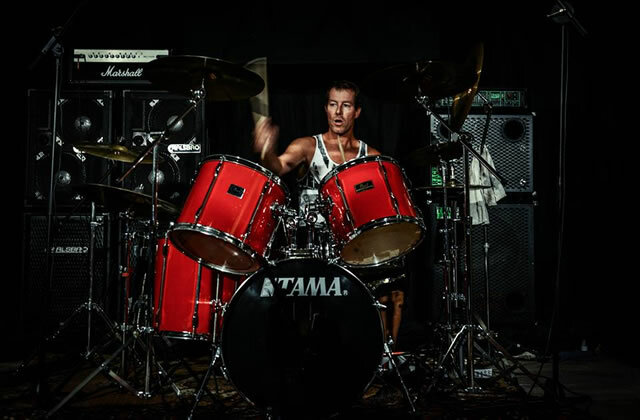 Dany has now become the regular session drummer for the studio and live gigs. Dany's hobbies include music and karate. Dany continues to record at "The Poulailler Studio"
PEARL EXPORT Toms, 13" and 14" and 1 bass toms 16" and 1 bass tom 16" TAMA . SABIAN : Crash 16"& 18", Ride 20", Hi Hat 14", Bell 10"
PAISTE : Crash 18", Chinese 18", Bell 10". The kit is miked to the PA system using Mac-Mah drum microphones & Shure SM57's.